When University of Delaware graduate student Shannon Kachel headed to Tajikistan last summer in search of the endangered snow leopard, he was prepared to contend with rugged terrain, high altitudes, and even possibly Afghan drug and weapons smugglers. However, he did not expect to have to take shelter in a bathtub while government troops swept through the streets and mortar shells streaked by his hostel window. Kachel was in bed when machine gun fire erupted outside his window. “I rolled off of the bed and onto the floor then belly-crawled over to the bathtub. I spent 13 hours huddling there with shrapnel and bullets flying through windows, buildings burning, and tanks rolling through the streets below,” he said. The UD wildlife ecology major had come to Tajikistan two months earlier as part of a research project funded by the University of Delaware and Panthera, an international wildcat conservation organization. 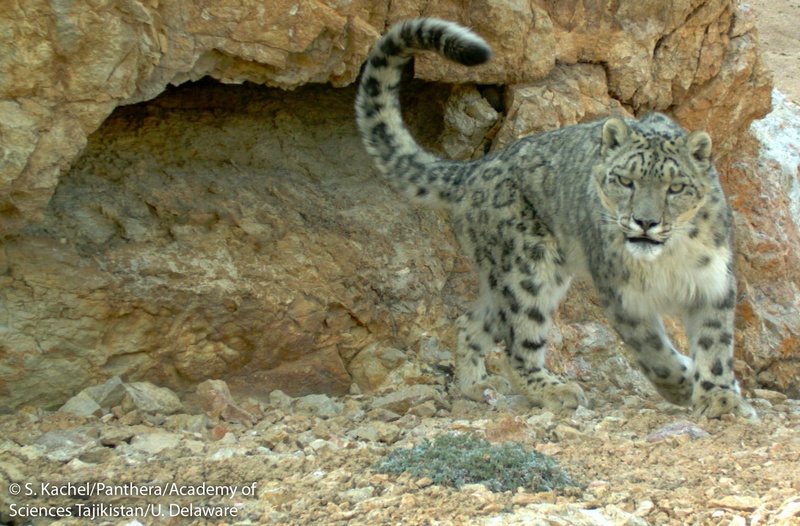 He aimed to piece together a rough census of snow leopards, mountainous wildcats known for their gray-white fur and black rosette markings, and to explore the effect of human hunting of hoofed animals, or ungulates, on the predatory cats. Visit WDDE.org to continue reading.